The City of Carlsbad’s new Fire Station #3 was constructed in order to replace an aging fire station that was once an old converted house. The much needed upgrade provides expanded space to meet current and future public safety needs. It also accommodates modern fire apparatus and gives better access to the immediate neighborhood which improves emergency response time. 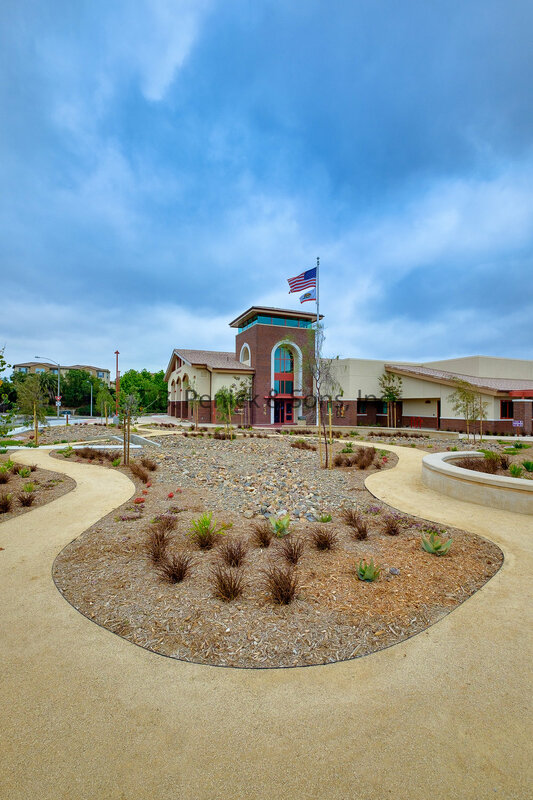 The Carlsbad Fire Station #3 also features public art which doubles as an "outdoor museum" where the public is invited to visit the fire station to learn more about the history of the Carlsbad Fire Department. Lithocrete was used around the entrance of the fire station to represent the embers and ash that are left behind after a fire while the larger glass and ceramic pieces sprinkled throughout represent the small personal artifacts that are left behind once the fire is extinguished. The larger glass and ceramic pieces also feature images and text from the 1970’s firehouse log books which at the time were all hand-written. The entrance of the fire station also features heritage boxes that are permanently mounted to the fire station walls. These are inspired by the numerous boxes placed, in the early 1900’s, at strategic points within wilderness areas. These historic boxes contained fire-fighting tools, some cooking utensils, provisions, even horse feed. The heritage boxes at Fire Station #3 contain photos, articles, important firefighting facts, tools and equipment from the last 60 years of Carlsbad firefighting history.